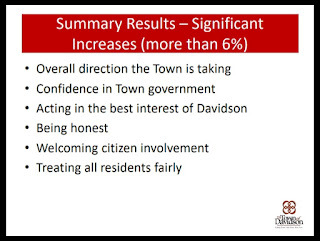 Davidson residents recently completed the National Citizen Survey (NCS), and on Tuesday night at Davidson Town Hall board members will get a presentation on the results. The NCS asks dozens of canned questions measuring satisfaction with Town services and measures the overall quality of life in town. 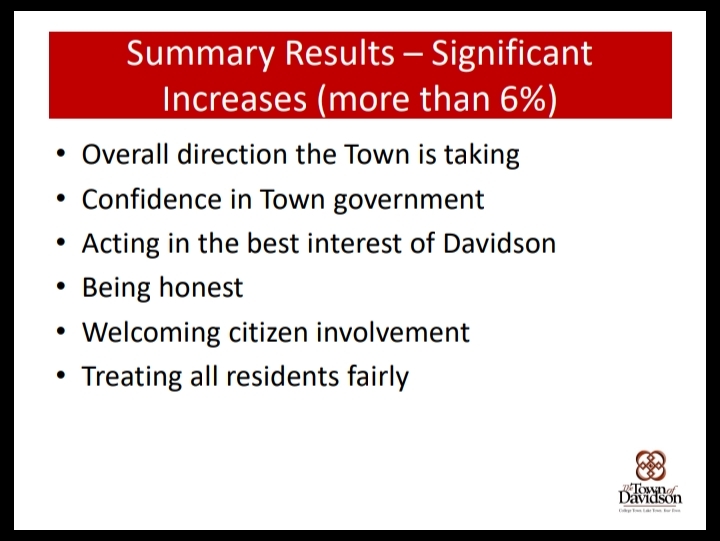 As such, Davidson regularly scores very high across the various categories. The presentation on Tuesday is a summary and doesn't include the detailed responses. 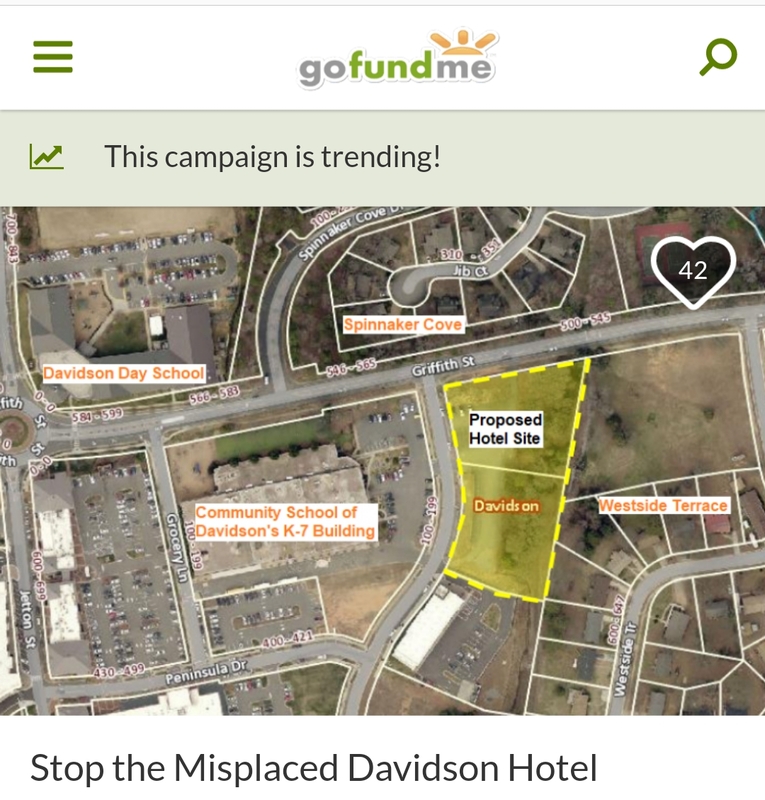 aShortChronicle has been told by Town Hall the detail shpuld be available soon. 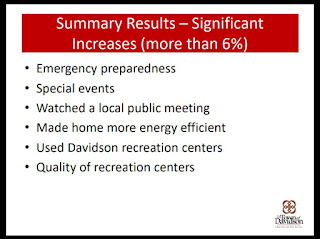 However, the summary does provide some interesting data points particularly when compared to the last NCS completed in early 2017 - before the wholesale turnover of elected officials that occurred later that year after widespread displeasure with numerous Town decisions. 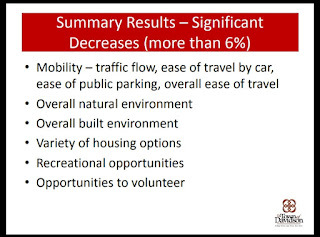 Take a look at this list of categories that were in decline just 2 short years ago. Now compare this to the areas that improved in this year's survey. 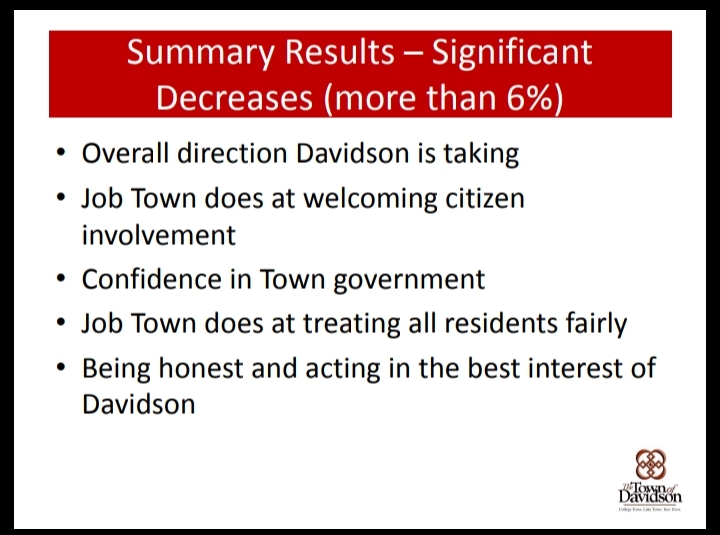 The turnaround in things such as fairness, honesty, accepting citizen involvement, and town direction is a testament to the job the current Board is doing. Achieving that result after just over one year in office makes the achievement even more striking.